The judge ruled the PROMESA Act gives the board the power to make “binding policy choices” for the U.S. commonwealth despite the governor’s objection. SAN JUAN — Puerto Rico’s federal oversight board has the power to enforce fiscal discipline on the bankrupt island’s government through the budgetary process, but lacks authority to demand changes in law, according to a ruling issued Tuesday by U.S. Judge Laura Taylor Swain. Governor Ricardo Rosselló and Puerto Rico’s legislature filed lawsuits in July claiming the board, which was created by the U.S. Congress under the so-called PROMESA Act in 2016, overstepped its power by imposing a belt-tightening fiscal plan and budget on the government that require public policy actions. Judge Swain ruled the PROMESA Act gives the board the power to make “binding policy choices” for the U.S. commonwealth despite the governor’s objection. However, when it comes to policy measures dependent on the adoption of new laws or the modification or repeal of existing laws, the board “has only budgetary tools and negotiations to use to elicit any necessary buy-in from the elected officials and legislators,” the ruling stated. 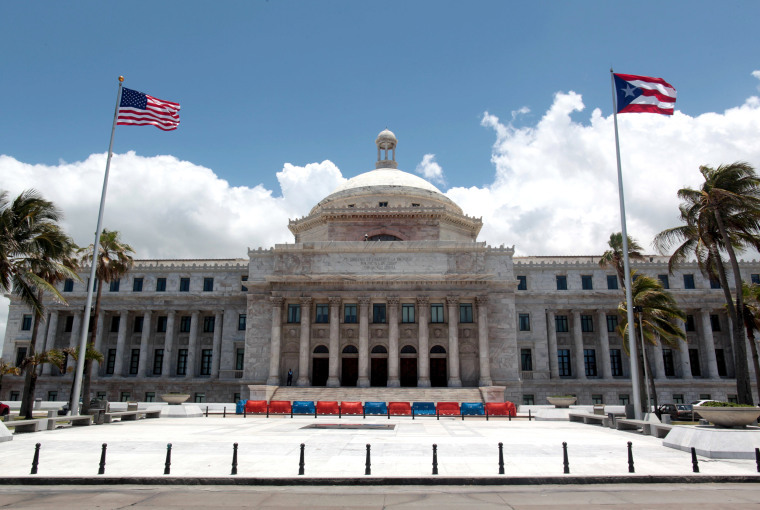 While the ruling empowered the board in fiscal matters, it also noted that only the Puerto Rico government can pass laws necessary to implement new fiscal policies. With Puerto Rico sinking under roughly $120 billion in debt and pension liabilities, the board in May 2017 sought a form of bankruptcy restructuring in U.S. court. “While we analyze the possibility of appealing the court’s decision, we will keep looking for ways to work with the oversight board so that we avoid harsh, draconian measures that would be detrimental to our people,” he said in a statement. The oversight board said the ruling upholds its authority and urged the Puerto Rico government to fully implement the fiscal plans and budgets it certified. From Memphis to Montana, 'American Boricua' photographs Puerto Ricans across the U.S.
“There can be no doubt that the fiscal year 2019 budget certified by the oversight board is the only one and must be enforced,” said Board Chairman José Carrión in a statement. While the judge dismissed several counts in the governor’s lawsuit largely on technical grounds, she kept other parts alive, rejecting the board’s argument that the court lacks jurisdiction over the dispute. Swain dismissed the legislators’ lawsuit in its entirety.